Century old drinks company Nichols worked with Stowga to developed a flexible and efficient network of warehouses all over the country, removing the burden of finding, owning and managing the warehouses themselves. Century old drinks company Nichols embraces a distributed warehousing network to deliver better customer experience and deliver the localised fulfilment mission of the modern age. Working with Stowga, they developed a flexible and efficient network of warehouses all over the country, removing the burden of finding, owning and managing the warehouses themselvese. Vimto is a soft drink originally invented and launched in 1908 by John Noel Nichols. The brand Vimto is owned by Nichols PLC which sells drinks to retailers throughout the UK in cans, bottles and as draught in pubs. Over the years, Vimto had consolidated their logistics network into three central hubs of warehouses, one in the South, one in the golden triangle in the centre of England and one in the North – to distribute their product across the UK. The challenge with this centralised model is the significant transport costs associated with daily deliveries to towns across the UK. 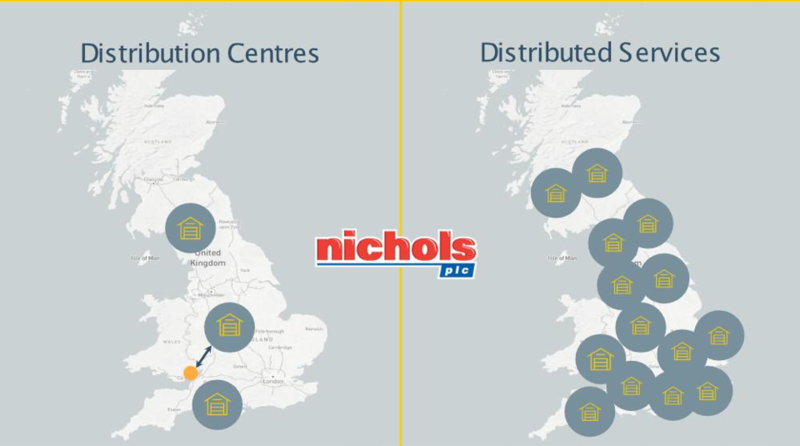 Nichols came to Stowga because they wanted to construct a network of flexible warehouses across the UK to store and distribute their product from. This gives them the freedom to respond to changes in customer demand in a dynamic way and not be constrained by long-term leases. For example, when wanting to test new markets, through Stowga, they are able to access a fast and low commitment way of setting up logistics infrastructure. Instead of having to drive around the area, search for warehouses on Google, meet an agent, organise follow up visits, negotiate a lease, and then be committed for several years – Stowga can match them with the best potential options within minutes. In this example, Vimto used Stowga, found a warehouse, got a price within 2 hours and moved in less than 2 weeks later. Stowga gives Vimto the ability to add agility and drastically cut the time taken to find suitable options. “Having Stowga on-board gives us peace of mind." Representation of a distributed network of warehouses – for privacy reasons, this is not an exact representation of Nichols network. 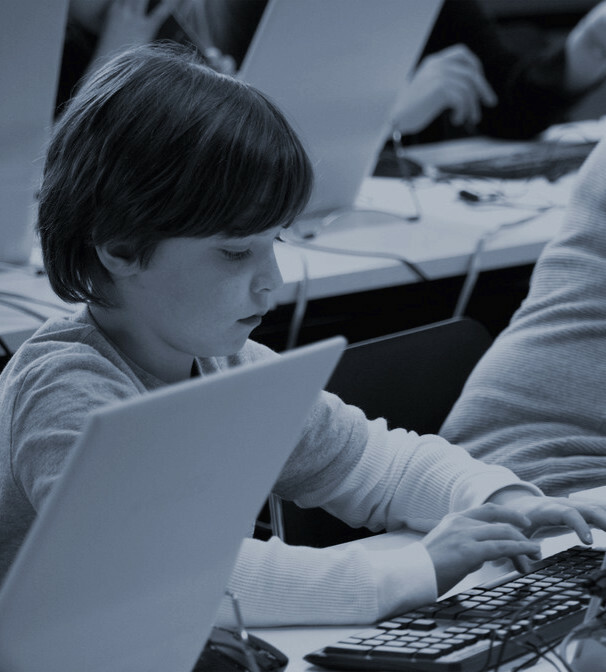 Following their first experience of Stowga, Nichols decided to use the platform to add sites all across the UK including Bournemouth, Rotherham, Swansea, Cannock, Southampton and Guildford. By constructing this flexible, warehousing network through Stowga they positioned their warehouses far closer to their end customer. This translated into reduced delivery times, reduced driver and fuel costs, and reduced CO2 and NOx emissions. In addition, by matching them with empty capacity within warehouses Stowga was able to cut the overall cost of warehousing, whilst giving them more operational flexibility. The ability to store goods closer to the end customer is becoming increasingly important as companies are having to compete on delivery times to meet customer expectations. By leveraging technology to utilize high quality warehousing at the exact location required, businesses are able to bring down the costs of multiple components of their supply chain including: transport, staff wages, storage and building maintenance. Thus enabling a better customer experience at reduced cost. Using a distributed network of warehouses also has a positive impact on the environment, and with transport representing the majority of Britain’s greenhouse gas emissions this is a step forward to helping with the UK’s long term Climate Change agenda. So why hasn’t this been done before? Well, no single logistics partner could provide them with all the services they required in all the locations they required. The warehousing market especially in smaller towns across the UK and can often be very opaque and difficult to access. By digitising the process of finding warehousing space and creating the largest database of warehousing capacity in the UK - Stowga has made it possible to construct such networks. Secondly, dealing with one central counterparty takes away the hassle away of managing multiple relationships, instead having a central point of contact, set of legal agreements and invoices.